Robert Barry Dickey was a member of the Nova Scotia Legislative Council, and a delegate to the Charlottetown and Québec Conferences. 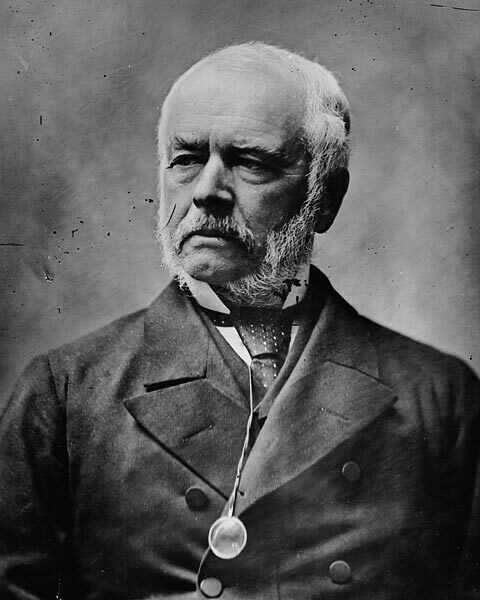 He was one of twelve Nova Scotians appointed to the federal Senate after Confederation. Robert Barry Dickey was born in Amherst, Nova Scotia, the son of Robert M. Dickey and Eleanor Chapman. After receiving his early education at Truro Grammar School and Windsor Academy, he began his legal studies at the age of 15 with the Hon. Alexander Stewart. He was called to the Nova Scotia bar in 1834, and to the New Brunswick bar in 1835. After a successful career practicing law, he was made a Queen's Counsel in 1863. He served as both judge and registrar of probate in Cumberland County for 20 years. In 1844, he married Mary Blair, one of Alexander Stewart's daughters. In 1858, Dickey was appointed to the Legislative Council of Nova Scotia, where he served until 1867. While a member of the Council, he visited London twice, in 1858 and in 1865, as part of a delegation regarding the Intercolonial Railway. He acted as the consular agent for the United States, and also as one of the directors of the Nova Scotia Electric Telegraph Company. Dickey was a delegate to the Charlottetown and Québec Conferences. However, after returning from Québec City, he refused to support the financial arrangements made for Nova Scotia in the Québec Resolutions. As a result, John William Ritchie took his place as a delegate to the London Conference. After the delegates returned from London, Dickey supported Confederation in the Legislative Council. During the Confederation year, Dickey was one of twelve members of Nova Scotia's Legislative Council appointed to the new federal Senate. While there, Dickey generally supported Conservative policy, but played only a minor political role. He died in 1903.